The Bowling Green Hot Rods digressed in their second season from a 64-74 record in 2009 to a 61-78 record in 2010. The Hot Rods were slightly worse in the second half of the season than the first, but were consistently below average for the whole year. The season wasn’t without its highlights though as the Hot Rods led the Midwest League with 249 stolen bases, 64 more than the second place team. In the second end of season awards post we’ll look at the best performances at the plate and on the mound from Bowling Green in 2010. Infielder Tyler Bortnick spent all but 12 games in Bowling Green this season and finished the year as the only Hot Rod with a batting average above .300. Bortnick batted .303 with eight home runs, 45 RBI, 72 runs scored and 39 stolen bases in 113 games with the Hot Rods. 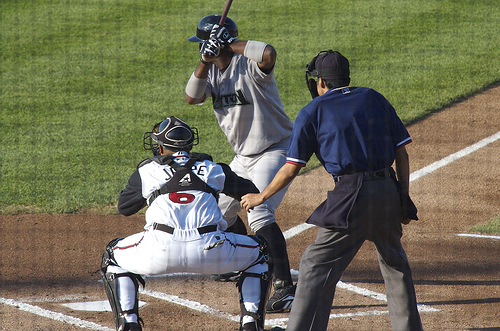 Bortnick’s 39 steals were seventh most in the Midwest League, and he ranked tenth in batting average. Honorable mention — Outfielder Brett Nommensen led the team with 10 home runs and 68 RBI…Outfielder Ty Morrison ranked second in the Midwest League with 58 stolen bases…Outfielder Christopher Murrill stole 28 bases and batted .292 in 70 games. Right-handed starting pitcher Alexander Colome was the only Hot Rods’ pitcher with enough innings to qualify for the league ERA title to post an ERA below 4.00. On the season Colome was 6-6 with a 3.95 ERA in 22 starts for the Hot Rods. Colome struck out 118 batters and walked 45 in 114 innings. Honorable Mention — Right-handed pitcher Kirby Yates posted a 3.30 ERA in 27 games, including 12 starts…Reliever Scott Shuman led the team with 14 saves…Left-handed pitcher Kyle Lobstein led the team with nine wins and 128 strikeouts. Second baseman Wilkin Castillo drove home the winning run in the bottom of the ninth inning to send the Louisville Bats to a 2-1 victory over Columbus. Cuban phenom Aroldis Chapman struck out the side in the ninth inning for the win and reportedly hit 105 mph on the radar gun. The Lexington Legends scored two runs in the top of the ninth inning to earn a 5-3 win over Kannapolis. Center fielder Grant Hogue was 4-5 with a double and two runs scored. The Bowling Green Hot Rods pitching staff struck out a club-record 18 batters in a 12-6 win over Lake County. Right fielder Brett Nommensen drove in four run in the win. 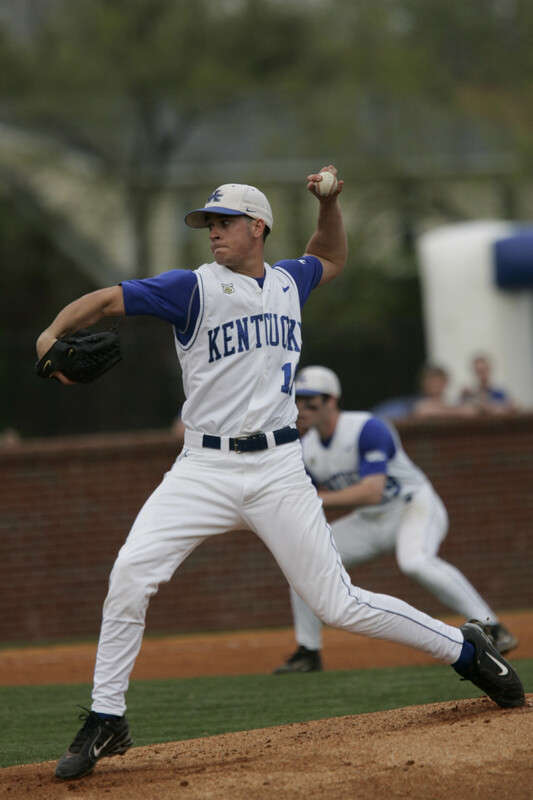 Former UK left-handed pitcher and 2010 Twins draftee Logan Darnell earned the win for rookie-level Elizabethton after pitching six shutout innings. Former UK infielder and 2010 Twins NDFA Gunner Glad supported Darnell with his second home run of the season for rookie-level Elizabethton. Former UK infielder Michael Bertram slugged his 11th home run of the season for AAA Toledo. Former Murray St. first baseman and 2010 Padres draftee Wes Cunningham extended his hitting streak to 10 games with a 1-2, two walk performance for short-season Eugene. Lexington Catholic alum Ben Revere returned from his DL stint for AA New Britain with an 0-3 performance. Trinity alum Tyler Kuhn was 3-4 with a home run and double for AA Birmingham. The Louisville Bats recorded their seventh consecutive win with a 4-3 victory over Toledo. Left fielder Todd Frazier was 3-4 with a double, two RBI and one run scored, and left-handed pitcher Aroldis Chapman struck out the side in the ninth inning for his sixth save. The Bowling Green Hot Rods opened their series at West Michigan with a 5-3 loss. Right fielder Brett Nommensen was 2-5 with a home run, RBI and two runs scored. Former UofL infielder an 2010 Rays draftee Phillip Wunderlich slugged his fourth home run of the season for short-season Hudson Valley. Former WKU left-handed pitcher and 2010 Twins draftee Bart Carter earned his first career win for the rookie-level GCL Twins. Lafayette High School alum Chaz Roe took a no decision for AAA Colorado Springs after surrendering three runs in four innings. Louisville native Seth Bynum was 3-4 with a double and run scored for AAA Syracuse. Paducah native Daniel Webb took a no decision for short-season Auburn despite surrendering just one earned run in five innings. Louisa native Steven Blevins earned his fifth win of the season for high A Fort Meyers with four innings of one-run relief. The Louisville Bats extended their winning streak to six games with an 8-7 win over Toledo. Designated hitter Wladimir Balentien was 3-5 with two doubles, a run scored and five RBI. The Lexington Legends offense gave right-handed pitcher Tanner Bushue plenty of run support but he didn’t need it in the team’s 10-3 win over Delmarva. Bushue surrendered just one unearned run on six hits in six innings, and three different Legends tallied three hits in the game. The Bowling Green Hot Rods scored six runs after the sixth inning to earn a come-from-behind 9-5 win over Fort Wayne. Right fielder Brett Nommensen was 3-5 with two triples, five RBI and one run scored. Former UK left-handed pitcher and 2010 Twins draftee Logan Darnell picked up his first career win for rookie-level Elizabethton with five scoreless innings in his second professional start. Former UofL infielder Chris Dominguez was 4-5 with a walk for low A Augusta. Lexington native Robbie Ross picked up his 12th win of the season after surrendering two runs on five hits in five innings for high A Bakersfield. Ross struck out five and walked one. Former UofL left-handed pitcher and 2010 Cardinals draftee Bob Revesz picked up his first career save for rookie-level Johnson City. Frankfort native and 2010 Royals draftee Cameron Conner tripled and drove in three runs for the rookie-level AZL Royals. Hot Rods speedster Tyler Bortnick will probably never confuse anyone for a middle-of-the-order slugger, but he does his job well at the top of the Bowling Green lineup. In July he led all Hot Rods with a .341 batting average. He also scored 12 times, drove in eight runs and stole 11 bases. July was not kind to Hot Rods starting pitcher, but several relievers posted standout performances headlined by closer Scott Shuman. The right-handed pitcher went 2-0 with a 2.84 ERA and two saves in nine appearances. Shuman struck out 20 and walked eight in 12 and two-thirds innings. Right-handed pitcher Matt Maloney surrendered just one unearned run in six innings to lead the Louisville Bats to an 11-2 blowout win over Charlotte. Shortstop Zach Cozart, third baseman Juan Francisco, outfielder Wladimir Balentein and catcher Wilkin Castillo each homered in the game for Louisville. The Bowling Green Hot Rods scored three runs in the eighth inning to earn a 7-5 come-from-behind win over Peoria. Designated hitter Cody Rogers homered and right fielder Brett Nommensen was 3-4. The Lexington Legends were off Monday. Former UK infielder and 2010 Padres draftee Chris Bisson was 3-4 for short-season Eugene. Former UK outfielder/first baseman and 2010 Twins draftee Lance Ray slugged his first professional home run for low A Beloit. Former UofL outfielder and 2010 Rangers draftee Joshua Richmond reached base five times via four walks and a single for short-season Spokane. He scored twice and drove in one run. In four professional games, Richmond is 5-13 (.385) with five RBI and four runs scored. Former UofL right-handed pitcher and 2010 White Sox draftee Thomas Royse took a no decision for rookie-level Great Falls after surrendering four runs in six innings. Royse struck out seven and walked none. Boyd County native and 2010 Royals NDFA Tyler Gatrell picked up his sixth save of the season for the rookie-level AZL Royals and still hasn’t surrendered an earned run in his professional career over 10 appearances. Six different Louisville Bats‘ batter tallied two hits and three hit at least one home run in the Bats’ 9-7 loss to Indianapolis. Third baseman Juan Francisco was 2-5 with two solo home runs. The Bowling Green Hot Rods scored a single run in the top of the 11th inning to record a 3-2 win over Fort Wayne. Right fielder Brett Nommensen was 3-5 and homered for the third time in four games, and starting pitcher Kyle Lobstein struck out eight battes in six and one-third innings. Lexington Legends right-handed pitcher Tanner Bushue fell to 4-5 on the season in the Legends’ 9-5 loss to Augusta. Legends center fielder Grant Hogue was 3-4 with a run scored. Former UofL third baseman Chris Dominguez was 1-5 with a double and two RBI for Augusta. 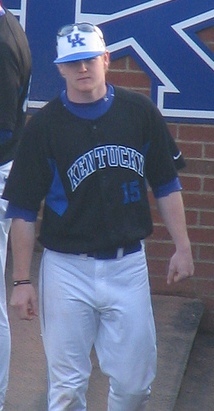 Former UK second baseman Chris Bisson recorded his first multi-hit game as a professional with a 3-5 performance for short-season Eugene. Former UK right-handed pitcher Chris Rusin earned his third win of the season for high A Daytona after surrendering just one hit in seven scoreless innings. He struck out seven and walked none. Former UK outfielder Collin Cowgill was 4-5 with a home run, two RBI and two runs scored for AA Mobile. He has hits in four straight games and has homered in his last two contests. Former EKU infielder Neil Sellers was 3-4 with a double, RBI and run scored for AAA Lehigh Valley. Former Campbellsville catcher Richie Rowland was 1-5 for rookie-level Missoula to extend his hitting streak to 13 games. Paducah native and 2010 draftee Jonathan Roof made his professional debut for the AZL Rangers with a pinch-hit RBI double. Cincinnati Reds right-handed pitcher Edison Volquez earned his second win for the Louisville Bats since joining the team on a rehabilitation assignment in a 4-2 victory over the Indianapolis Indians. Volquez surrendered two runs in five innings. The Lexington Legends started their homestand on the right foot with a 6-5 win over the Augusta GreenJackets. Outfielder J. D. Martinez was 3-4 with two runs scored. Former UofL third baseman Chris Dominguez was 1-4 with a run scored in the game for Augusta. The Bowling Green Hot Rods lost a slugfest 12-11 to Fort Wayne in game one of a three-game series. Right fielder Brett Nommensen was 2-6 with a home run, four RBI and one run scored. Former Campbellsville catcher and 2010 non-drafted free agent Richie Rowland homered in his second consecutive game and extended his hitting streak to 11 games for rookie-level Missoula. Former UofL first baseman Andrew Clark launched his first professional home run for short-season Spokane. He was 1-2 with a home run, one RBI, two walks and two runs scored. Former UofL left-handed pitcher Justin Marks took the loss for low A Kane County despite allowing just two runs in six innings. He struck out nine and walked just one. Former WKU outfielder Chad Cregar was 1-3 with a home run and two RBI for low A Greensboro. Former NKU right-handed pitcher Nathan Jones earned his seventh win of the season for high A Winston-Salem. Jones surrendered one run on eight hits in five and one-third innings and struck out five. Lafayette High School alum Chaz Roe took the loss for AAA Colorado Springs after surrendering five runs in four and two-third innings. Danville native Patrick Cooper earned the win in his first start for shorts-season Connecticut after allowing just one run on two hits in five innings. He struck out four and walked two. The Louisville Bats scored a 2-0 shutout win over the Indianapolis Indians behind a strong pitching performance from right-handed pitcher Jesus Delgado, who surrendered just four hits in five innings. Right-handed reliever Carlos Fisher earned his first save of the season. The Lexington Legends secured a series win against the Hickory Crawdads with a 4-1 victory. First baseman Kody Hinze was 3-5 with a run scored. The Bowling Green Hot Rods salvaged one game of its three-game home series against the Fort Wayne TinCaps with a 6-4 victory. Right fielder Brett Nommensen was 2-5 with a home run. Former UK outfielder Collin Cowgill was 2-4 with a home run, two RBI and one run scored for AA Mobile. Former UK first baseman Ryan Streiby was 2-4 with a home run, one RBI and one run scored and has hits in his last four games for AAA Toledo. Former UofL infielder and 2010 draftee Adam Duvall had his best professional game to-date and was 3-5 with a home run, RBI and run scored for short-season Salem-Keizer. Former UofL third baseman Chris Dominguez was 3-6 with a double and run scored for low A Augusta. Former UofL right-handed pitcher Thomas Royse struggled for the second consecutive start after allowing five runs in two innings for rookie-level Great Falls. Former Morehead St. shortstop Drew Lee was 3-4 with a double and two runs scored for rookie-level Bristol. 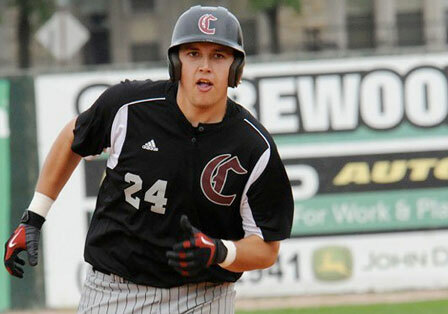 Former Campbellsville catcher Richie Rowland hit his first professional home run to extend his hitting streak to ten games for rookie-level Missoula. Boyd County native Tyler Gatrell picked up his third save for the rookie-level AZL Royals and hasn’t allowed a run in his first six professional innings.